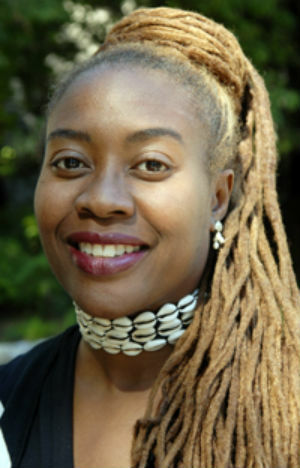 Dr. Aaronette White, a professor of social psychology and Associate Dean of Equity and Social Responsibility in the Division of Social Sciences at UC Santa Cruz, was an accomplished scholar and fierce social justice activist whose interdisciplinary work impacted many fields including Psychology, Women’s Studies and African Studies. Some of her principal areas of scholarship include political violence and peace building, Black feminist theory and practice, and social justice pedagogies in higher education. One of her primary goals was to center the choices of marginalized or silenced groups. She adopted a nuanced intersectional perspective to highlight how diverse social identities interact with race, ethnicity, culture, nationality and gender to shape lived experiences. It is this ethos we would like to honor with the endowed award in her memory. Dr. White earned her bachelor’s degree from the University of Missouri, and her masters and doctorate from Washington University in St. Louis. She joined UC Santa Cruz as an associate professor in 2008 after teaching at Pennsylvania State University; she had affiliations with a variety of institutions around the world. She passed away in 2012 at the age of 51. The Dr. Aaronette White Scholarship will be awarded to an undergraduate student with demonstrated need and stellar work in Psychology. Students should have filed to pursue the Psychology major at the time of application and have a 3.0 minimum GPA overall and an interest in Social Psychology.